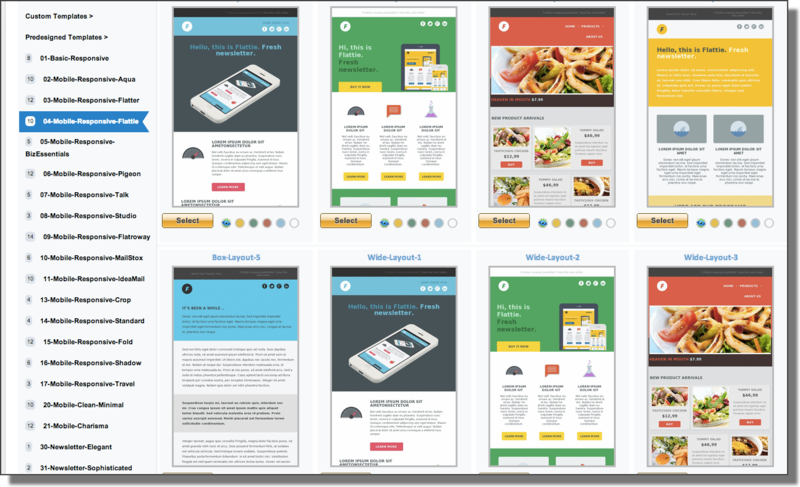 Pinpointe includes the largest library of pre-tested, mobile-friendly, ready-to-use html email templates. You can create fantastic email campaigns quickly. Responsive email templates automatically adjust to display correctly on mobile phones, iPads and desktop systems, so your campaigns look great. Since half of all emails are opened on mobile devices – you’ll enjoy higher response rates. We believe in permission-based email marketing (no purchased or non opt-in lists.) We’ve nurtured relationships with major ISPs and participate in feedback loops. Our IPs are ReturnPath certified. We monitor IP reputation with deliverability vendors to ensure that inbox acceptance rates are high. Our quality business customers achieve 96% ~ 99% inbox delivery rates. 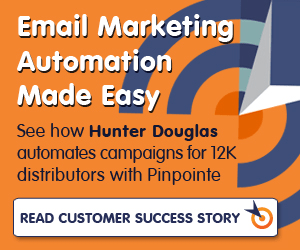 Maximize your marketing efficiency with Pinpointe’s powerful automated emails (autoresponders) and trigger campaigns. 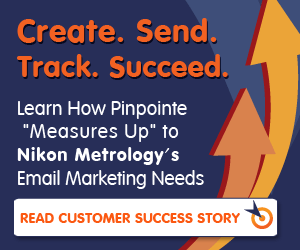 Autoresponders have been shown to increase results by over 100%. 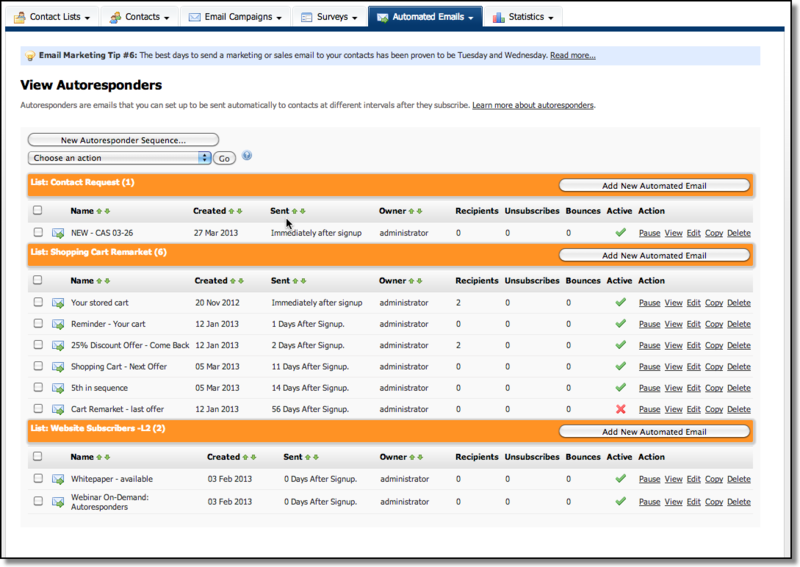 Create super-flexible autoresponder campaigns and send trigger campaigns based on your prospect’s behavior. Set up an automatic drip sequence with specific filters for each individual email. You can even set up autoresponders to send on behalf of different people within your company. Our new ‘smart-segments’ allow you to target your prospects with precision. Define your complete segment criteria by combining behavioral information (like, whether subscribers opened a campaign or clicked on specific links), demographics information and custom field values you create. Build any complex selection criteria and mix AND-OR logic using simple, pull-down menus. Magnify your email campaign results by automatically adding social follow, share and like buttons to your email marketing campaigns. 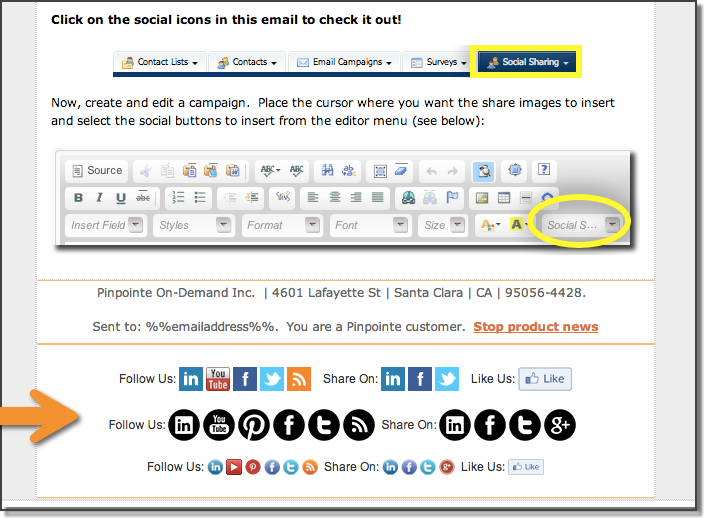 Adding social sharing to email campaigns is simple: Just select a button style and ‘Insert Social’ in our WYSIWYG email campaign editor. 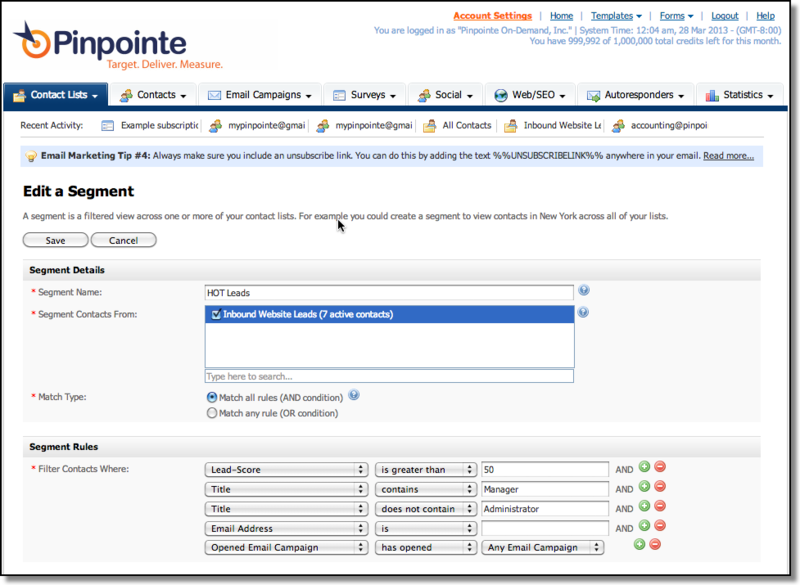 Pinpointe automatically inserts the social sharing code for recipients to ‘follow’, ‘share’ AND ‘like’ your email campaigns. 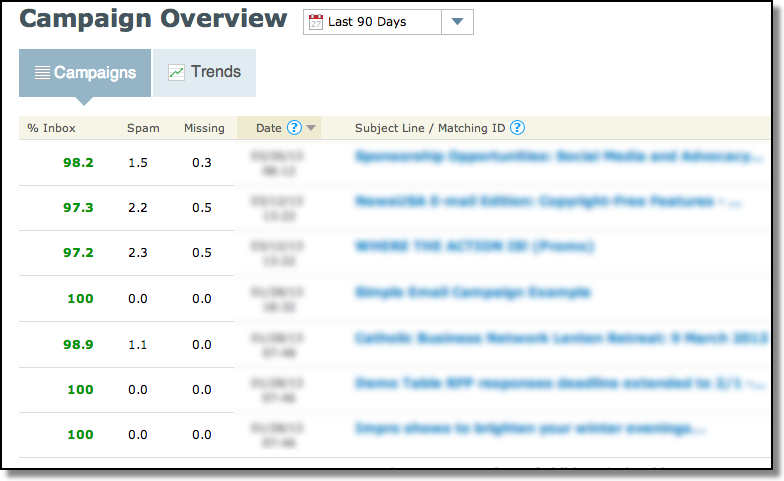 We’ve taken email marketing to a new level by fully integrating real-time website tracking and analytics. (Its’s FREE! Just ask when you sign up). You get a true 360 degree view of your contact and prospect activities. Easily track your inbound marketing results and mine twitter streams. 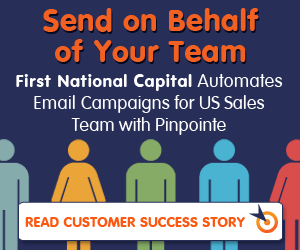 From small companies to Global Enterprises – thousands of companies rely on the Pinpointe platform to create, send and analyze their email campaigns. 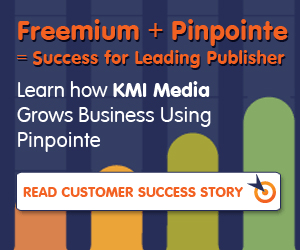 Pinpointe’s cloud-based email marketing software helps mid-sized Enterprises, Digital Agencies and business marketers get better results with their permission-based email communications. Comprehensive features like improved targeting, segmentation and drip marketing campaigns help marketers easily nurture contacts, analyze results and deliver more quality opportunities to the sales team.